Garden facts about peppers, olives, zucchini, beans, mushrooms that will blow your mind. 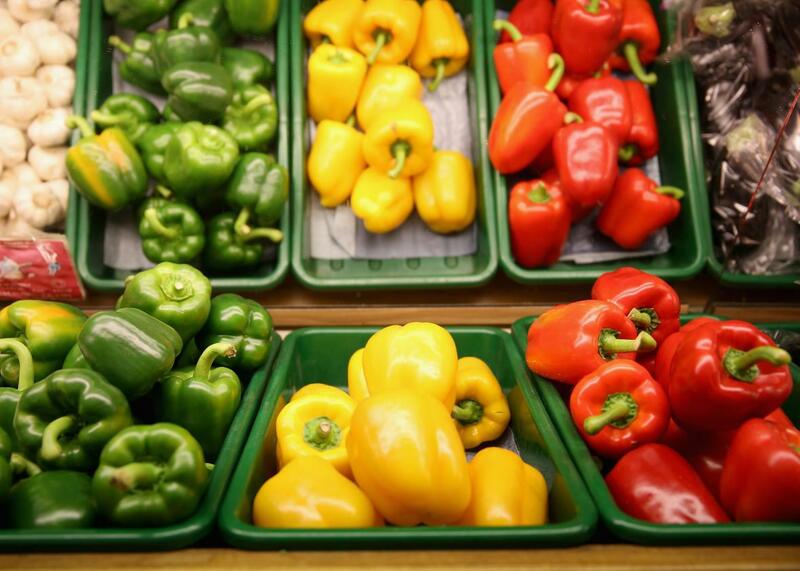 Green bell peppers are just red (or yellow) bell peppers that aren’t ripe yet. One of the great pleasures of gardening is growing enough food to share. At Slate’s D.C. office, Rachel Gross and Jamelle Bouie frequently bring in baked goods. I bring in tomatoes, peppers, and zucchini. I realize it’s more fun for me to show off my harvest than it is for my co-workers to actually eat any of it. The other day, I brought in a peck of peppers from my garden—poblanos, Anaheims, jalapeños, and my favorite variety, “mucho nachos.” Some of the peppers were green and some were red. Several people asked me over the course of the day what the difference was between the two colors. That is when I blew their minds. The difference between red peppers and green peppers, I told them, is that the red ones are ripe. Did you know that? Admit it, you didn’t always know that, right? But it explains everything, or at least it explains why red bell peppers (or orange or yellow ones, which are also ripe) cost more than green bell peppers: You have to grow them for longer. Do you know what the difference is between green olives and black olives? Yes. You’re getting it. The black olives are ripe. Do you know what the difference is between green beans and bean-beans? The green beans are picked young, before the seeds develop. If you don’t pick them in time, the beans keep growing and the pods wither, and you end up with a pod full of navy beans. It’s all the same plant. Zucchini are baby squash. If you pick them young, they’re tender. Let them grow a while and they become solid and nutty. Let them dry out and you’ve got a gourd. Asparagus are the young shoots of a plant with delicate fronds that will grow taller than you are. Artichokes are thistle flowers that haven’t bloomed yet. Really. And Mr. McGregor, the villain who keeps chasing Peter Rabbit out of his garden, is the most misunderstood character in all of English literature.